high-speed data transfer rates of up to 1000Mbps, which is ideal for bandwidth intensive applications such as multiple HD/3D/4K video streaming, online gaming and large file transfers. 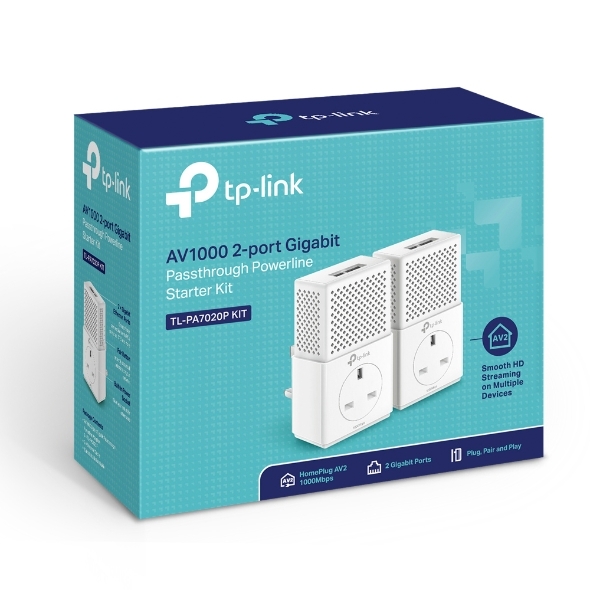 With 2 gigabit Ethernet ports, TL-PA7020P KIT can simultaneously connect up to 2 wired-only devices. This makes the TL-PA7020P KIT the perfect home entertainment companion. Connect any 2 devices from smart TVs and games consoles to NAS boxes and computers to the Internet at the same time. Just plug the Ethernet cable into the powerline and away you go! 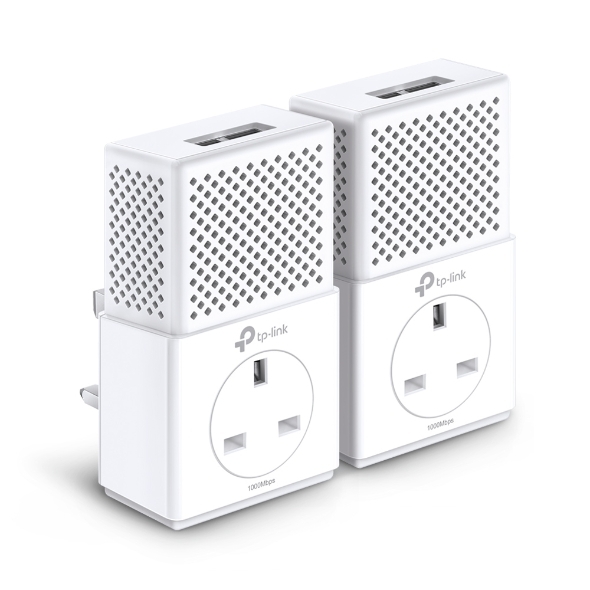 Where sockets are at a premium, the TL-PA7020P KIT with an integrated AC pass-through power socket, means the powerlines can be used like a traditional electrical socket. Plug your smart TV or games consoles into the powerlines, as if it were a normal plug socket. No socket needs to go to waste. The built-in noise filter helps to prevent electrical signal noise from affecting powerline performance. electrical appliances to be connected. The theoretical maximum channel data transfer rate is derived from HomePlug AV2 specifications. Actual data transfer rate will vary from network environment including: distance, network traffic, noise on electrical wires, building material and construction, quality of electrical installation and other adverse conditions.